This pumpkin phenomenon has been beaten into our heads going back to right before Labor Day. Depending on who you are it’s entertaining, laughable, corporate, mind-numbing, or everything in-between. Personally, when the season ends I will miss it. I’m not big on monetizing something if it compromises something sacred such as Thanksgiving. However, I still see so much good, so much spirit, and so much joy in it. That’s what I’m choosing to focus on today and as much as I can. This leads me to this post. 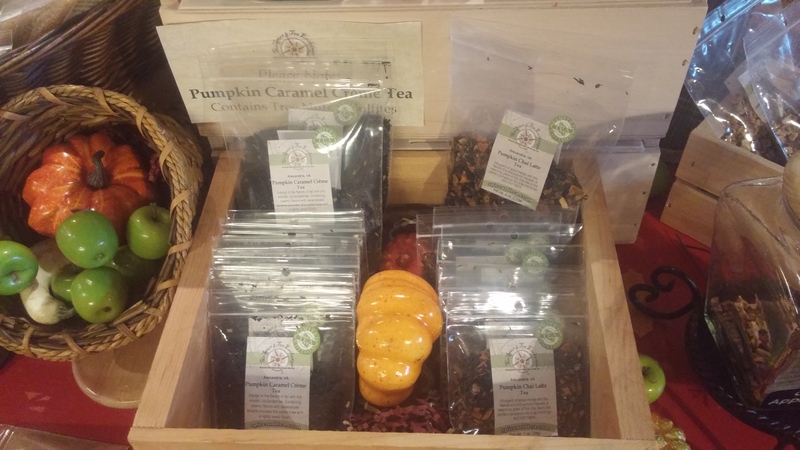 I’ve spoken so highly of The Spice & Tea Exchange several times over the year. And I think I’m justified. 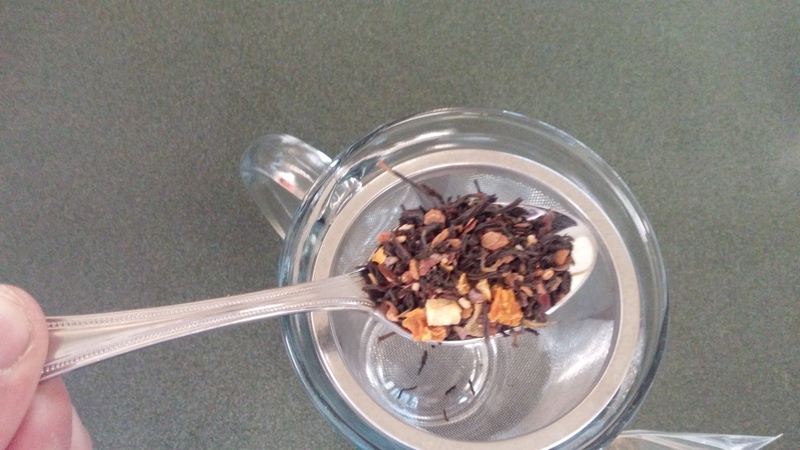 I will be talking about different tea companies and groups in the future but what finds me is what finds me. And I’m doing it back-to-back with another special from one of my favorites. 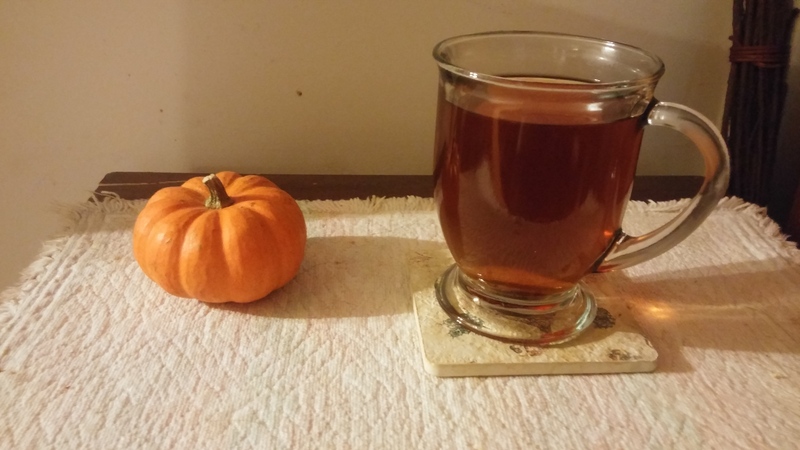 The Pumpkin Caramel Creme Tea is nowhere near as creamy, sweet, or as full-bodied as I thought it was going to be. It’s almost quite the opposite for me and I’m perfectly happy with that. The term ‘subtle’ brew is applied and I wholeheartedly agree with that sentiment. I’m in a place of comfort and happiness as I write this. And I have been sipping and savoring my cup. I’m at peace. The candy, coconut, caramel, among others were hard for me to detect. 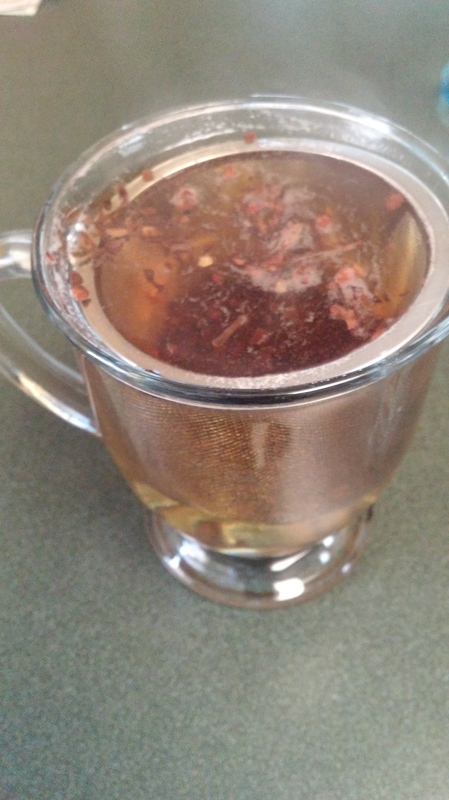 But I knew there was a melange of many transcendent ingredients to make this a winner. Fortunately, nothing is too overpowering. That’s why using ‘subtle’, in the synopsis is perfect. When opening the bag the aromas really captured the essence of the season. I thought I was in line for something very sweet. After brewing and smelling, I knew I was in for a special treat. And I’m thankful to have tried it. Everyone’s palate is different. This tasted nothing like I thought it was going to be. And I’m happy about that. I like it for reasons that you may not. And we may have an agreement or counter on some other attribute. One thing I know for sure, the caffeine level is very high. This one snuck up on me. I’m ready to go and tackle the world now. Or maybe just wake up. As seen above, in traditional format I will once again show a picture-by-picture breakdown from opening, brewing, and to sipping. I’m fortunate to have the Tovolo make its triumphant return! 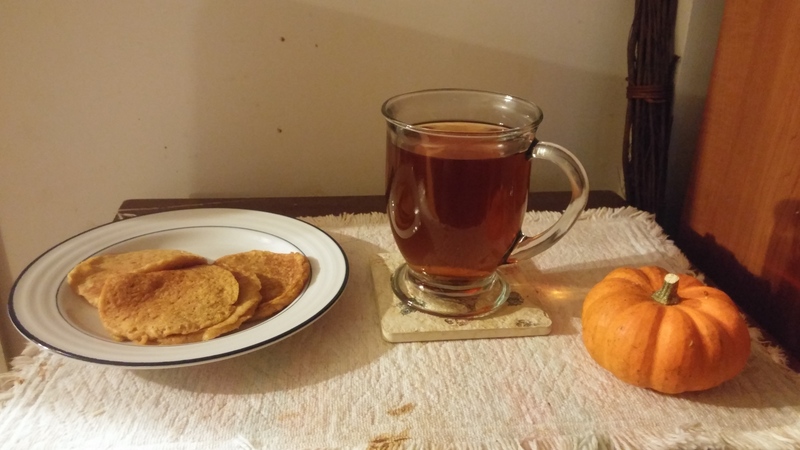 I enjoyed this with some delicious cinnamon almonds and pumpkin cookies. See I just can’t get enough. And why the heck not! It’s almost the holidays. Like in last weeks post you see that this item sold out online. I know a lot of their stores were saying they may have been done as early as mid-October on the pumpkin items. But if you live near a store and you’re curious, hopefully they still have some of those teas available. I hope to track down some more myself. They may be one more post from this awesome company before the year is out. Only time will tell. Happy Early Thanksgiving and Happy Pumpkin Season! It seems like the only thing I’ve been writing about is pumpkins. I’m going to enjoy these moments because as nauseating as it may be for some, I’m sentimental to it. And I know many others that are too. It’s November, the holidays are approaching, and it’s good to find the positives in this time. As the weather gets colder, our drinking and eating habits will slowly adapt to those changes. My tea sipping habits will be going through a transformation as well. I made this more dramatic than it needed to be. But I’m having fun here. 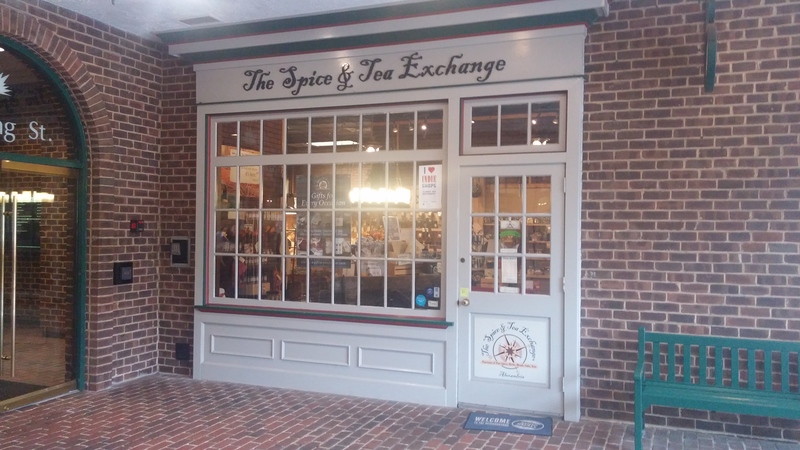 This week takes us back to one of my favorite tea companies, The Spice & Tea Exchange. I was lucky to find myself at the Alexandria location last month and the timing couldn’t have been better. 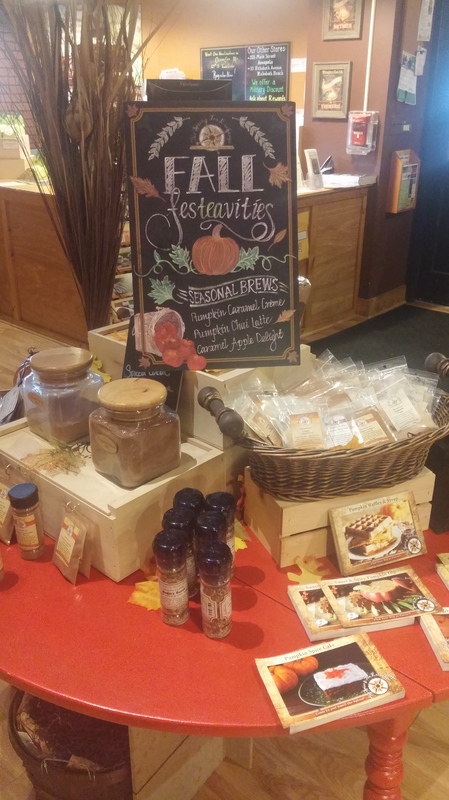 They had their fall display set-up and loaded with all kinds of fun teas, spices, and other various provisions for the season. When I walked into that I was sold. But I also want to give a formal thank you to Jerome. He was very helpful in showing me around the store and recommending season teas along with sugars to purchase. There will be at least one follow-up post next week, and maybe the week after depending on how the rest of this month goes. But I want to give credit where credit is due. This was a fantastic experience. Jerome and a couple of the other folks working were so friendly and let me feel like a kid in a candy store. 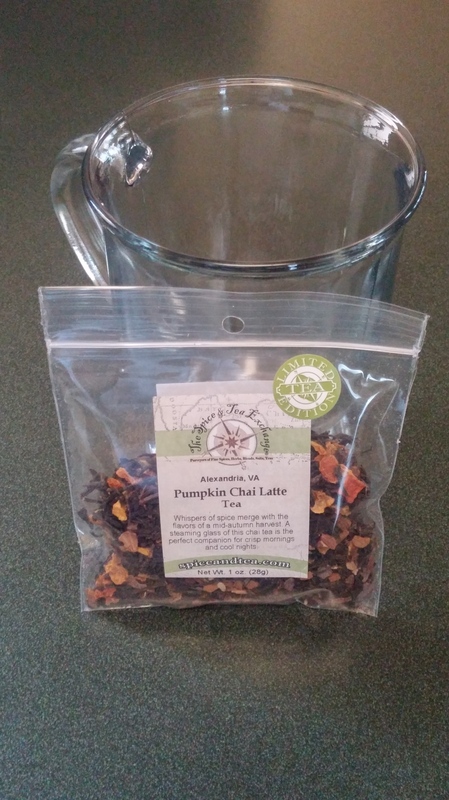 This week, from their Fall FesTEAvities collection, I will be talking about the Pumpkin Chai Latte Tea. 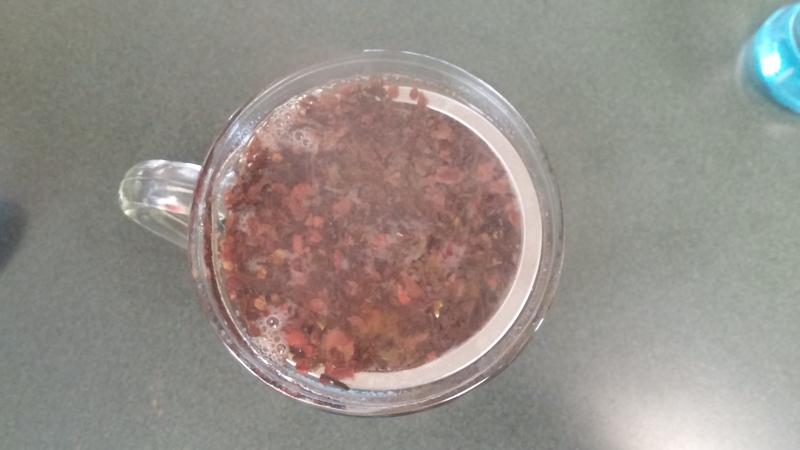 I had fun brewing it, sniffing it, but I didn’t love it. I don’t know if it was how I brewed it or something in the atmosphere, but something didn’t click. It smells amazing. And I’m salivating at the thought of it now. This has happened before. The aroma doesn’t always translate to a winning taste. It might be my tastes have changed. I’ve had some good chai’s so that isn’t it. I’ve had some that have let me dismayed too. I’d put this somewhere in between. I do have one thought. Maybe the ingredients are all-natural that it tastes exactly how it should. There’s no harmful additives or artificial flavors to augment the taste. That part I love. The ingredients are listed above. Like I said, it smells great it just doesn’t compute in my eyes. Maybe it’s too much of a good thing? I’m not sure about less is more. 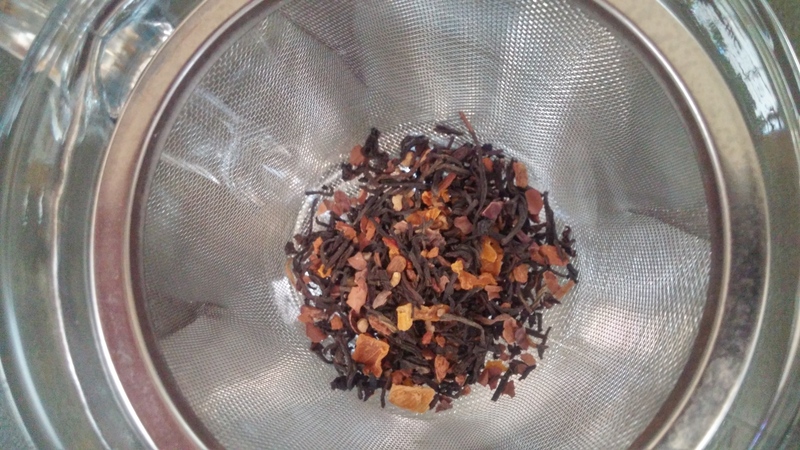 I’ve had teas with a dozen plus ingredients that have been a staple in my life for years. They all can’t be winners and by no means will this discourage me from purchasing teas and other items from here. This store has been so good to me and my friends. I can’t wait to come back and look forward to doing more positive write ups in the future. And one will likely take place next week. 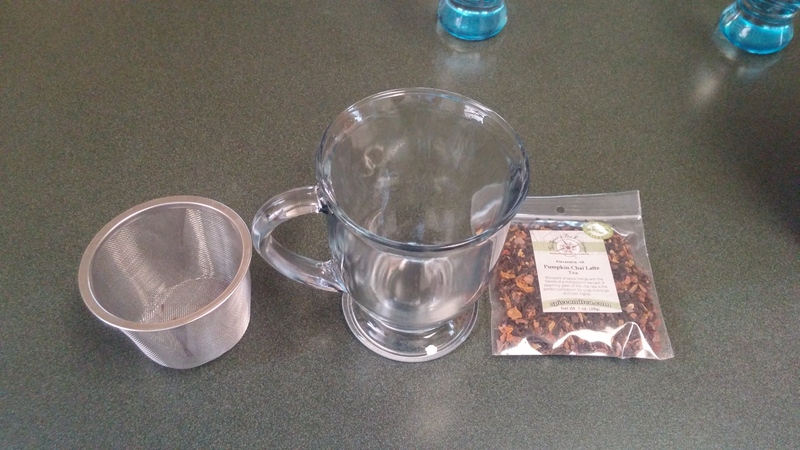 For your viewing pleasure I’ve photographed the brewing and steeping experience. Can you see the steam in the last few pictures above? Pretty awesome! 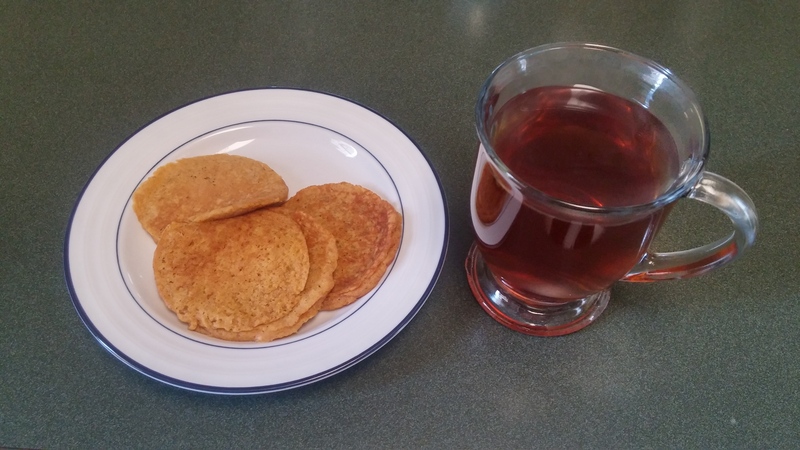 The pumpkin pancakes totally complemented the tea and definitely heightened the flavors of my cup but it wasn’t the best I’ve had. Maybe next time. Unfortunately these items are sold out online. 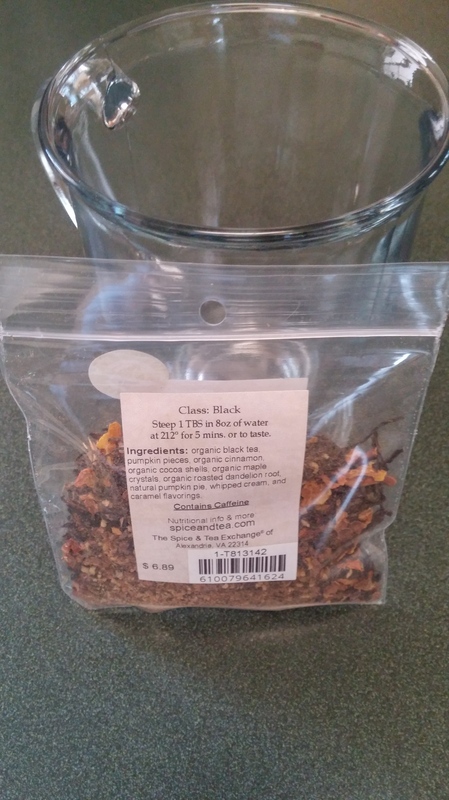 If there’s a location near you I’d highly recommend grabbing this and the other seasonal teas. Just because I didn’t enjoy it as much as I hoped doesn’t mean you won’t. For previous posts on this great company click here, here, and also here! And when I mean tradition, I really mean tradition. An inspired pun for the blog title may have been intended. 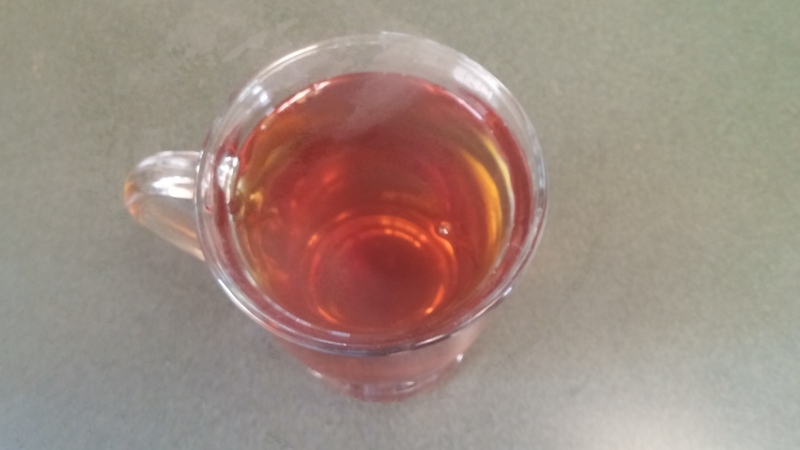 Bigelow Tea is up there with one of the first teas that catapulted me into this passion of mine. You can find it anywhere; hotel lobbies, restaurants, bars, gas stations, catered events, and parties. That’s a good thing. 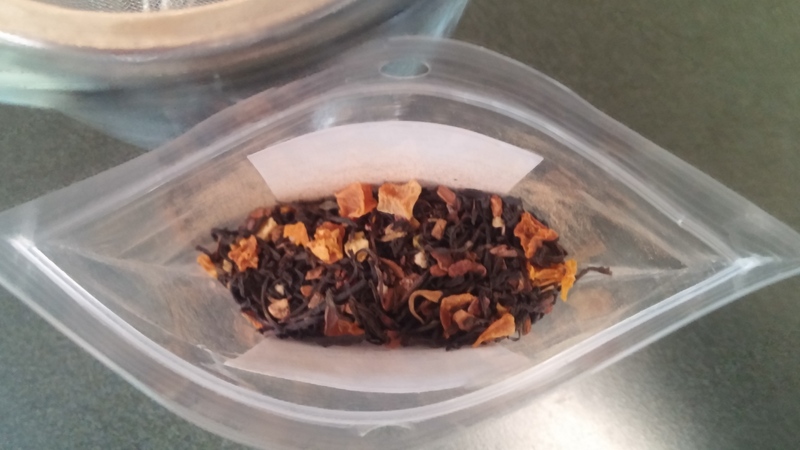 It’s always been a lower on the price scale compared to other brands and even more so now with all these teas coming to prominence that over $5.00 per pack. The higher the price doesn’t always equate to quality just as the lower price doesn’t necessarily mean it’s lower-tier. But a few of their teas I’ve never been the biggest fan of. Some I’ve loved and always tend to have on-hand when I’m in the mood to boil a kettle and brew a cup. 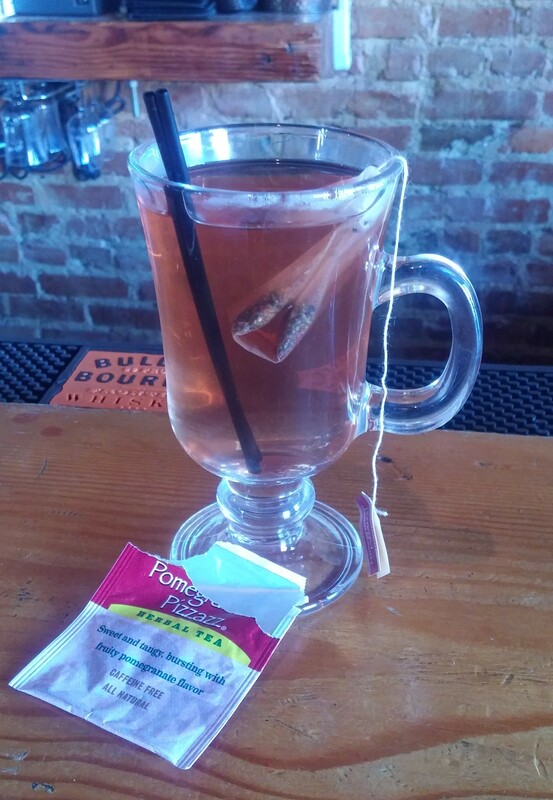 I found myself at a local bar in Baltimore and was not in the mood for an alcoholic beverage nor a cup of coffee. 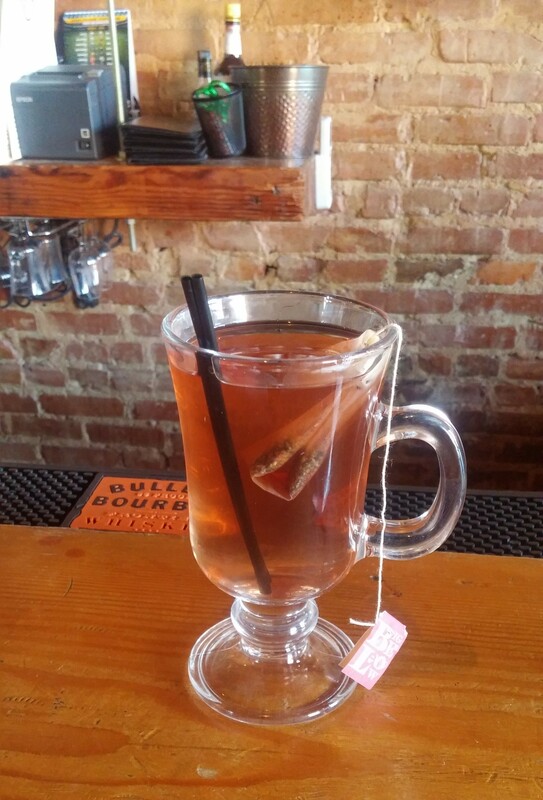 I asked the friendly bartender if they carried tea and I shouldn’t have been surprised. She brought out a beautiful case with a variety of Bigelow’s finest. Naturally, with little hesitation, I grab a bag of the Pomegranate Pizzazz as it’s something I’ve been familiar with and always enjoyed. 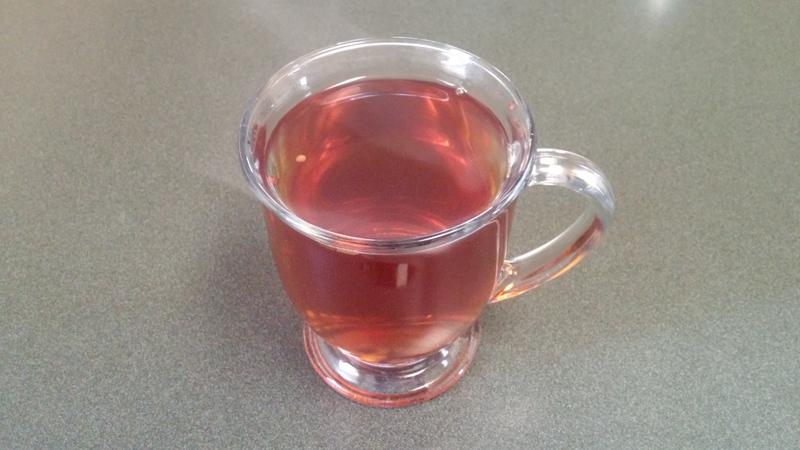 I believe that with the weather changing and cooler temperatures rearing their head, that more comforting and soothing drinks will be sipped on. It’s the natural way our body craves and reacts to our environment and the universe. In that same vein I’ve been yearning for soup with much more frequency. So I ordered an incredible spicy Thai style pumpkin soup to go with it. This is a meal fit for a king, or someone who is freezing. It was actually a decent day outside but I felt a chill in the air. I usually would have this and go hide under my blankets. I hope I’m a few months away from that, if at all. 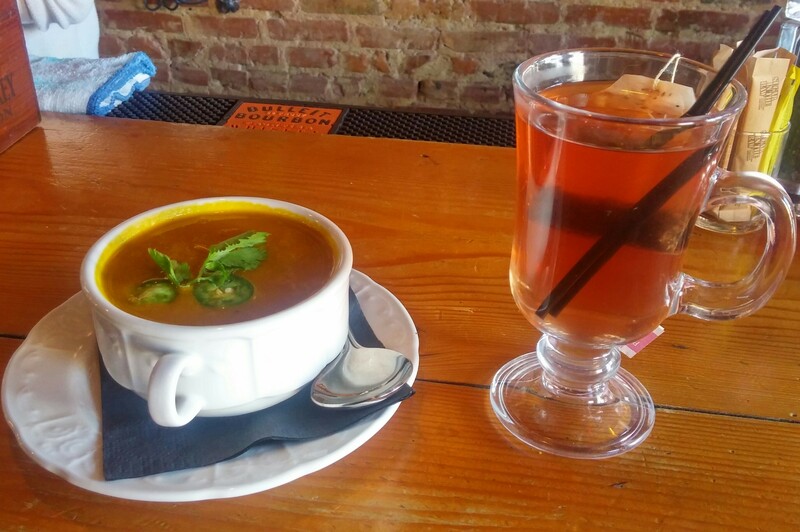 The joy I felt from this tea and soup combo is from my love for the simple things. There’s nothing out-of-the-ordinary about what I had, but it made me feel good. And if something makes you feel good and hits your soul, that’s all that matters. What drinking this tea has done has reminded me that Bigelow has so much value in the tea drinking community. They’re only getting better with time with their social responsibility and pride in helping others. And their teas and packaging seem to have gone to a whole new level. This is just the beginning. 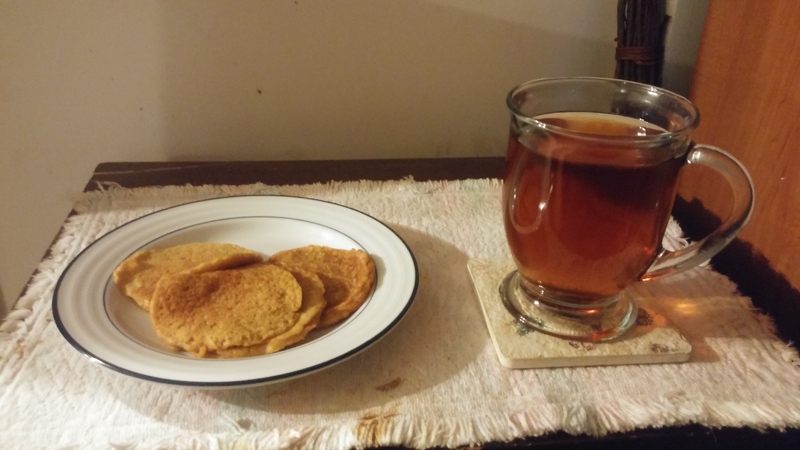 On that note, I know I usually only post to this blog on Tuesdays, for Tea Tuesdays, and that’s no accident. 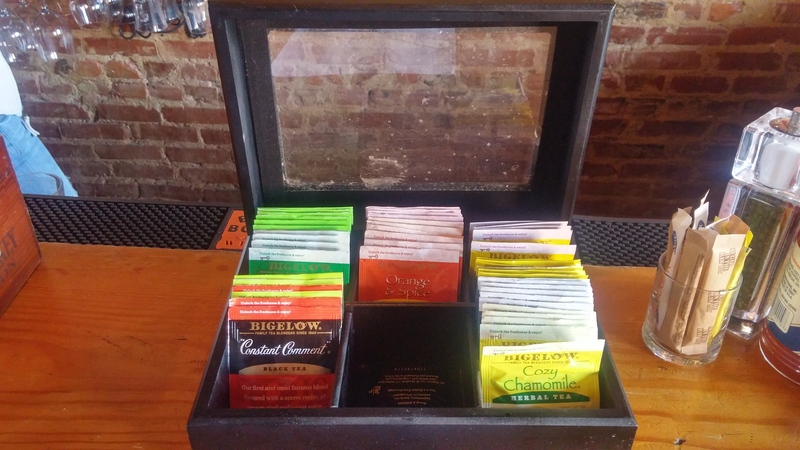 But that may have to change if I discover all these awesome season teas from all over. We’re already in November. Where did the time go? I hope to make time. And a Happy Belated 70th Birthday to Bigelow! And many more!